The handsome, rugged 2018 Toyota RAV4 is ready for anything - even a competition with the 2018 Subaru Forester. When compared to this popular crossover, the RAV4 has a greater capacity for hauling and towing, more standard safety systems and tons of exclusive features. Best of all, it's a Toyota, so you know it's built to last with legendary reliability and toughness. Let's take a closer look below at what separates these two vehicles. We think you'll agree, the Forester is no match for the 2018 Toyota RAV4. And don't forget to check out our new car specials to see how much you can save this month on a brand-new RAV4 at Capitol Toyota! Despite the fact that the 2018 Subaru Forester has substantially more interior volume than the 2018 RAV4, the Toyota feels just as comfortable. Both vehicles have within an inch of the exact same legroom in both rows of seats. Plus, you'll get an extra four cubic feet of cargo space behind the rear seats in the RAV4, so it can carry the most cargo along with a full load of passengers. You'll be able to access all that space even easier with an available foot-activated, hands-free power rear liftgate. 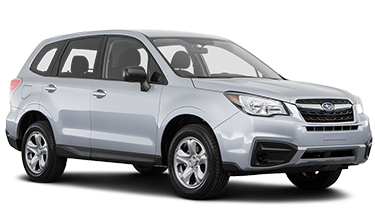 A hands-free liftgate is not available on the 2018 Subaru Forester. You'll get a handful of extra horsepower on the base 2018 Toyota RAV4 compared to the base 2018 Subaru Forester. And while all-wheel drive comes standard on the Forester, it's also available on RAV4. Combine the all-wheel drive system with the available sport-tuned suspension, Dynamic Torque Control and limited-slip differential in the 2018 Toyota RAV4 and you'll get superior handling on any road surface. Upgrade to the available Adventure trim and the RAV4 gets increased ride height, rugged rocker panel guards and a tow-prep package which brings its towing capacity to an impressive 3,500 pounds. That's more than twice as much as you can tow behind the 2018 Subaru Forester. Thanks to Toyota Safety Sense™ P, the industry's most advanced safety features come totally standard on RAV4. 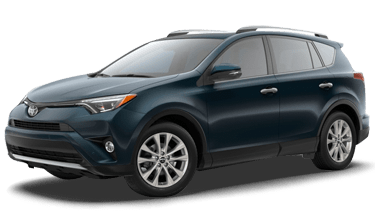 Every 2018 Toyota RAV4 is equipped with Lane Departure Alert with Steering Assist, Dynamic Radar Cruise Control, Pre-Collision System with Pedestrian Detection and Automatic High Beams. To get similar features on the 2018 Subaru Forester, you'll have to pay for a costly trim upgrade. Toyota thinks you should be just as safe in the entry-level LE trim as in the capable RAV4 Adventure, the plush RAV4 Limited and the top-of-the-line RAV4 Platinum. When it comes to the vehicle that transports you and your family, safety and reliability come first - everything else is secondary. No manufacturer understands this better than Toyota. That's why Toyota developed industry-leading safety systems like Toyota Safety Sense™, Star Safety System™ and Safety Connect®. No other automaker offers you more safety features for the money, or a better value on your investment. And at Capitol Toyota, we're proud to provide customers from Wilsonville to McMinnville with outstanding customer service and an unmatched sales experience. Let us introduce you to the newest award-winning Toyota models. From the compact, efficent Yaris to the popular Highlander to the game-changing Prius hybrid, you'll find them all at great low prices at Capitol Toyota. Check out our new car specials to see what you can save today! We look forward to welcoming you to our showroom at 783 Auto Group Avenue NE, Salem, OR 97301.